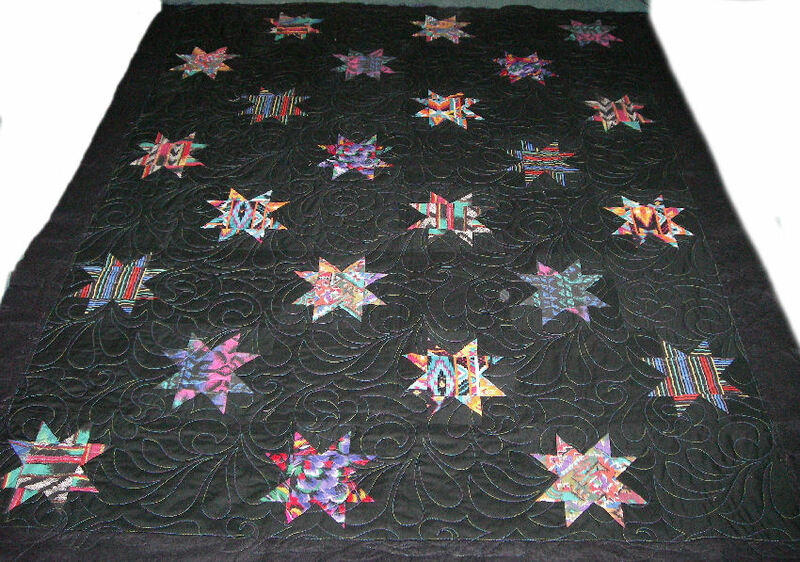 When I found my turning twenty quilt in the chest unfinished with only the binding to go, I also mentioned a second one. Over the weekend, I'm hoping to add the binding to this second quilt that I had finished by sending away for quilting. The only thing left to add is the binding. 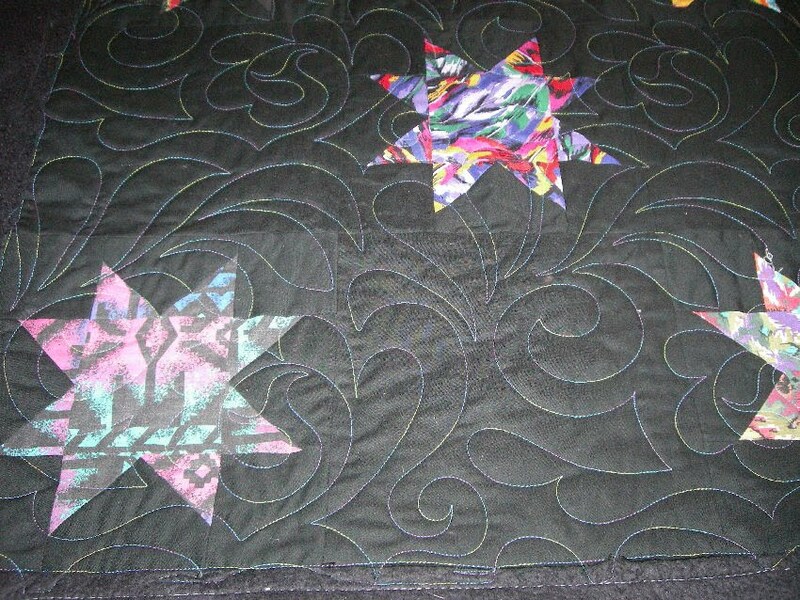 I Don't know why I would have left these two quilts in the chest and forgot about them. The only thing is that this one did not have the binding in the storage chest. So, I might be delayed by finding the appropriate binding. If I have to make it, It will give a chance to test out my new Simplicity binding tool that I purchased with one of my Joann 50% coupons which made it somewhere around $55. Oh gosh I do love black. It just pops any color that is with it. I can't imagine that you would have left this too!